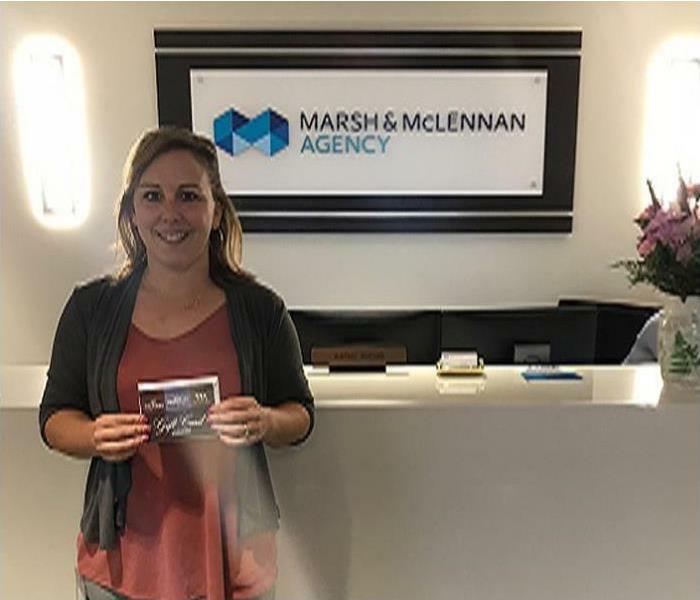 Our August Restoration Newsline winner is Amy Farmer of Marsh and McLennan Insurance. We hope that Amy enjoys her One Eleven Chop House restaurant gift certificate! Our SERVPRO of Shrewsbury / Westborough team is happy to support the Worcester community, and we strive to make it the best it can be! If you are interested in participating in our monthly contest, please contact Sandy Fitzpatrick at (508) 757-7885. 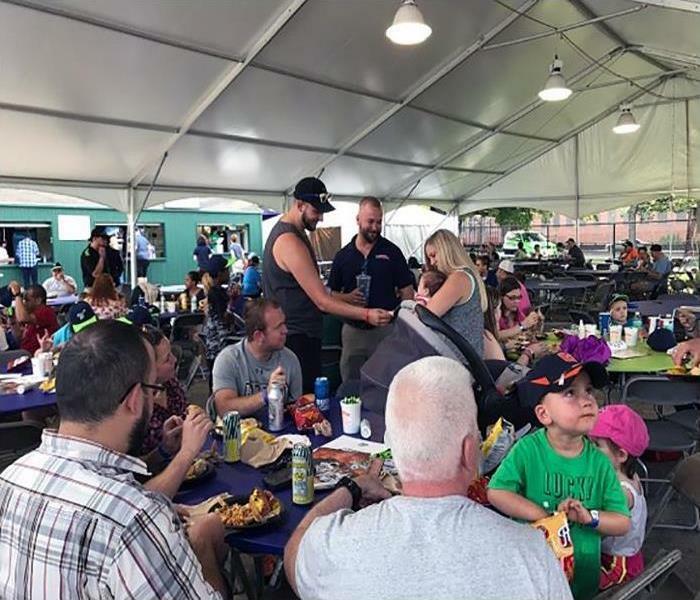 To show how much we appreciate our wonderful clients SERVPRO of Shrewsbury / Westborough hosted a customer appreciation night at the ballpark. The event was on Friday, July 28th at Hanover Insurance Park at Fitton Field. The event was full of fun activities for the whole family that included a pre-game cookout, ice cream sundae bar, and post-game fireworks show. At SERVPRO, our clients are like family! 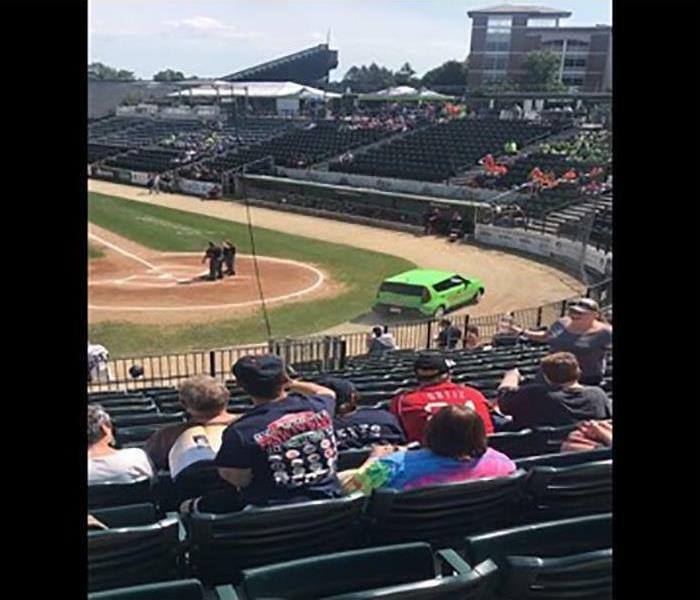 SERVPRO of Shrewsbury / Westborough recently attended a baseball game where our Clean Up car was featured. We are supporters and sponsors of the Worcester Bravehearts Team! Go Bravehearts! 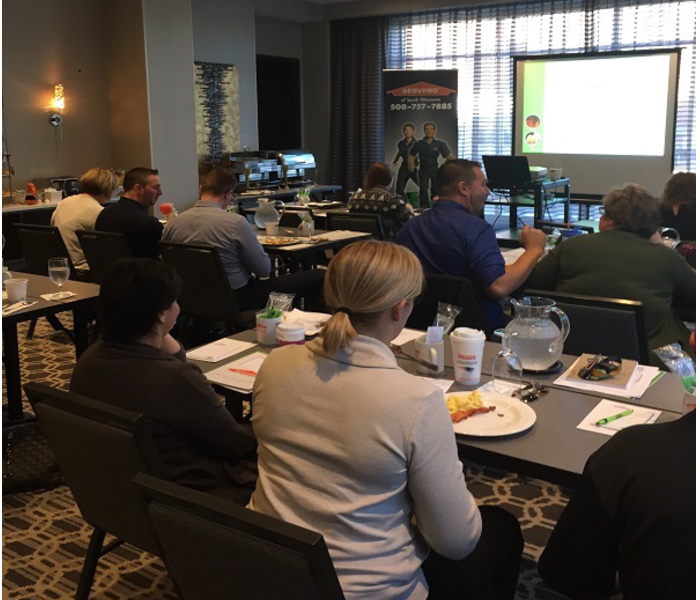 On June 21st, SERVPRO of Shrewsbury / Westborough hosted a Continuing Education class for our Insurance Agents the Courtyard Marriott in Worcester. 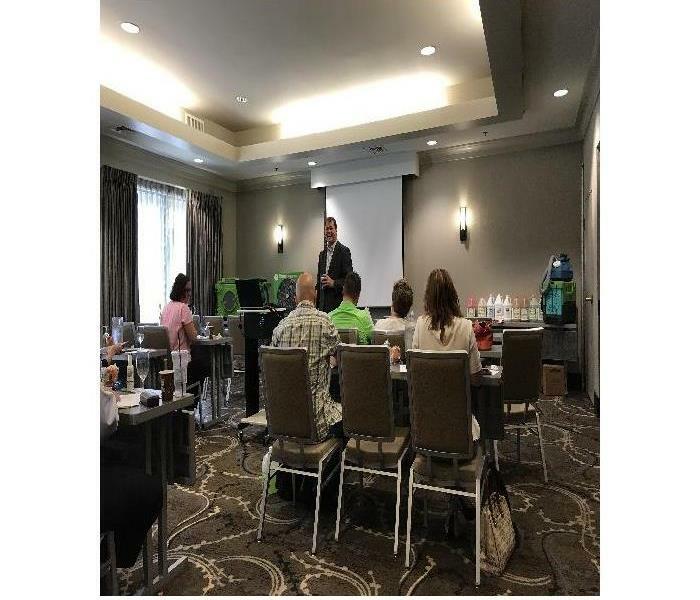 Steve DeBlois, from SERVPRO Corporate, presented a very interactive 'Mitigation Awareness' and 'Response and Ethics' class to the attendees. CE classes are an excellent way to keep up with the restoration industry. Thank you to everyone who came and supported us! The team from SERVPRO of Shrewsbury / Westborough is happy to share the Restoration Newsline Contest winner for May. Peter Conte of Conte Insurance in Paxton is our lucky winner. Peter will enjoy the prize of a gift certificate to The Sole Proprietor in Worcester. Our local team has the training and expertise to handle your water, fire and mold restoration needs in the Westborough area. Contact Sandy at 508-757-7885 to find out how you can participate in the monthly contest. 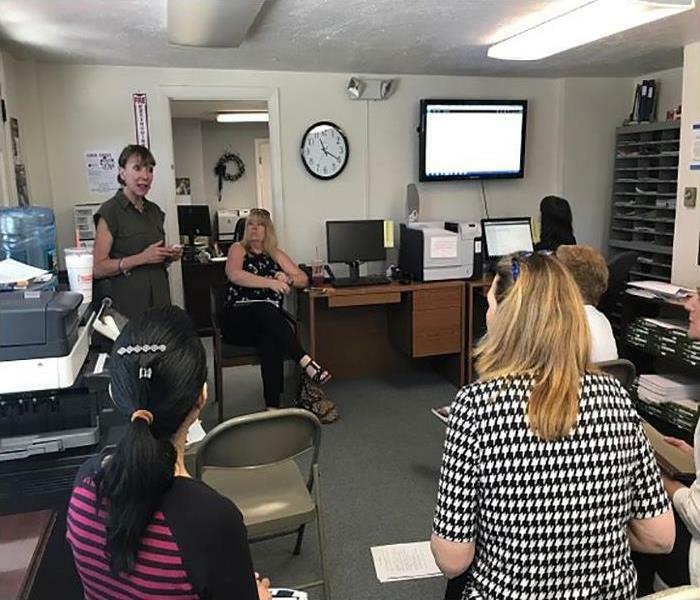 Sandra gave a presentation to local realtors about the restoration services that we offer at SERVPRO of Shrewsbury / Westborough. Our restoration services include treatment of water damage, mold damage, storm damage and fire damage. 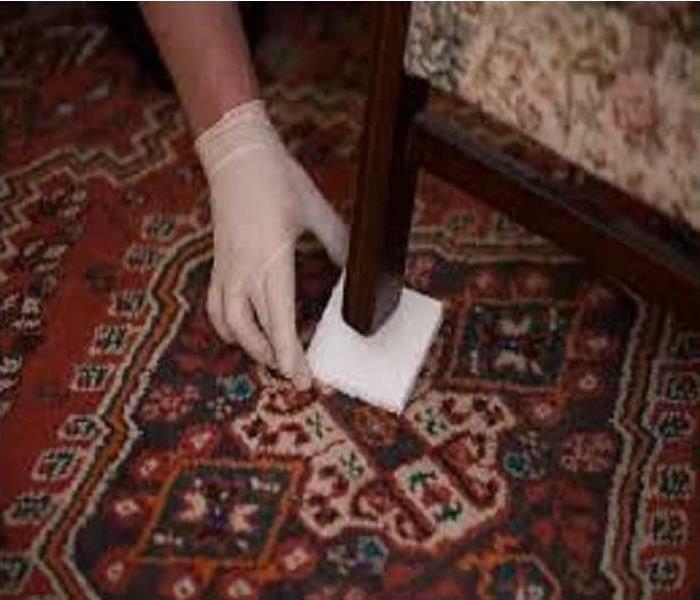 SERVPRO also offers cleaning services such as air duct and HVAC cleaning, Biohazard cleanup, odor removal, carpet and upholstery cleaning, and much more. We have highly trained technicians with the expertise and knowledge to restore your commercial or residential property back to pre-damage condition. When it comes to water, fire, mold, or storm damage, call on the team at SERVPRO of Shrewsbury / Westborough for help! SERVPRO of Shrewsbury / Westborough is donating a "Spotting Kit" to benefit the Corridor Nine Chamber of Commerce School/Business Partnership Golf Tournament. The tournament is at the Juniper Hills Golf course in Westbourgh, Massachusetts. The tournament provides financial support for graduating high school seniors and enables the Chamber of Commerce to maintain its role in promoting business development in the area. SERVPRO of Shrewsbury / Westborough is a supporter of local businesses and charities. Our SERVPRO of Shrewsbury / Westborough team is proud to announce the April Restoration Newsline Contest winner. This month's winner is Sue Campbell of William Campbell Insurance in Shrewsbury. 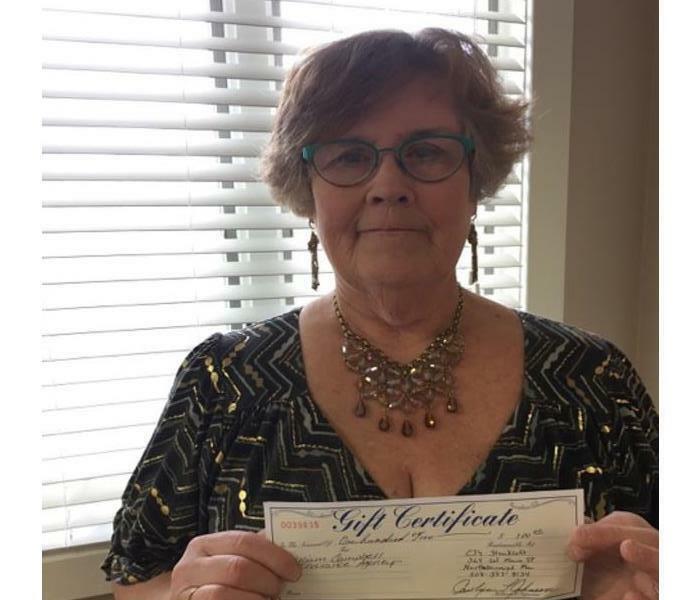 Sue won a gift certificate to C.J. 's Steakloft in Northborough. As a leader in the restoration industry, we are happy to help local insurance professionals prepare for unexpected emergencies. Our team responds to fire, water and mold damage calls 24/7 in local communities including Grafton. To find out how you can participate in the monthly contest, contact Sandy at 508-757-7885. 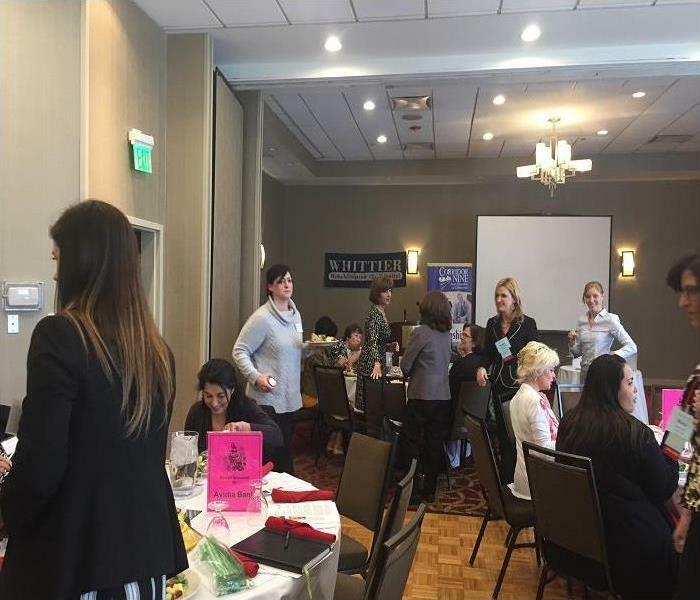 Recently, SERVPRO of Shrewsbury / Westborough attended the Business Forward Females monthly networking luncheon. The luncheon provided valuable information about networking and learning how to make the most of your networking time. Some of the topics included what to do before an event, how to present yourself, how to effectively follow up with the people you meet and using the buddy system. The staff at SERVPRO were thrilled to attend and support our community. 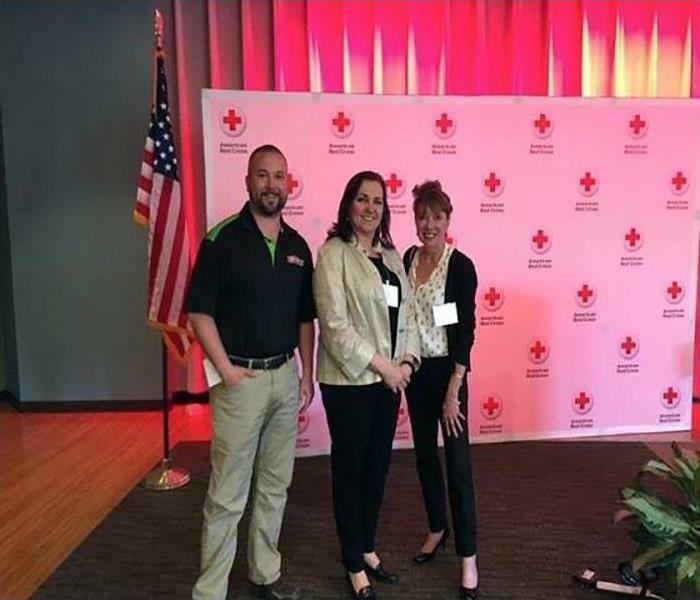 On May 4th SERVPRO of Shrewsbury / Westborough attended The American Red Cross Heroes Among Us event as Clara Barton sponsors. The event was held at The Hanover Insurance Group in Worcester. Marc Surette and Spencer L'Heureux were the recipients of the Britney Gengel Humanitarian Award. 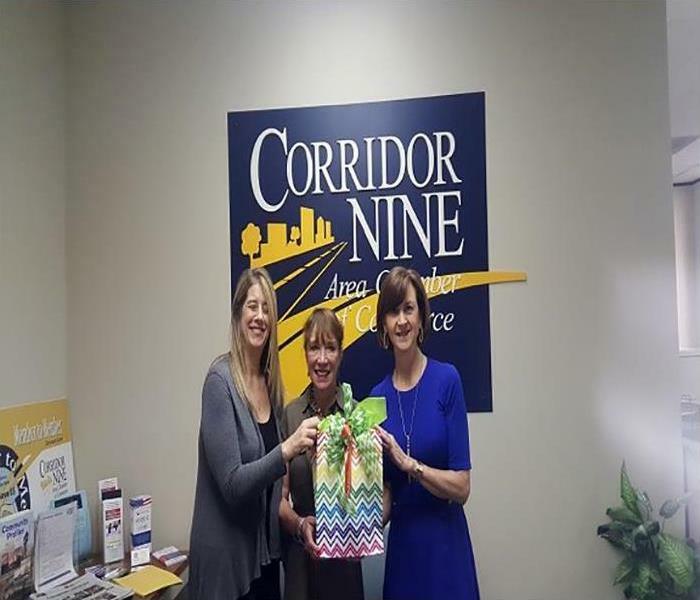 Pictured are Sean O'Neill Commercial Marketing Rep at SERVPRO, Kim Goulette Executive Director of The Red Cross and Sandy Fitzpatrick Marketing Manager at SERVPRO. SERVPRO of Shrewsbury/Westborough Participated in the Women’s Leadership Conference. The Conference was held at the DCU Center in Worcester, and over 700 attendees and 130 vendors enjoyed the event. Now in its seventh year, this one-day leadership conference focuses primarily on the advancement of female professionals. The conference is designed to provide the participants with personal growth, business networking opportunities, and professional development. These goals are achieved by bringing women together to learn and address issues that are relevant to both their personal life and professional career. This gathering represents the best in barnstorming and the evolution and assimilation of new ideas. 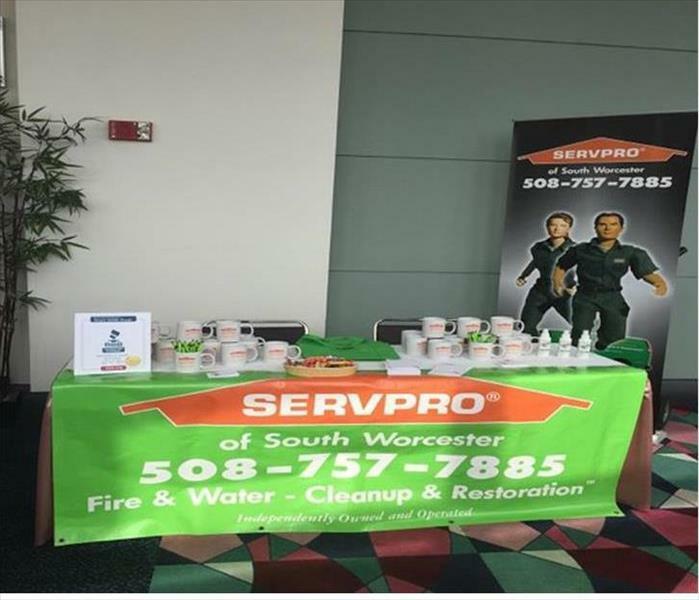 SERVPRO is a trusted local leader in water, fire and mold damage cleanup and restoration in the Shrewsbury / Westborough area. Our team was happy to attend the event and support our local community. 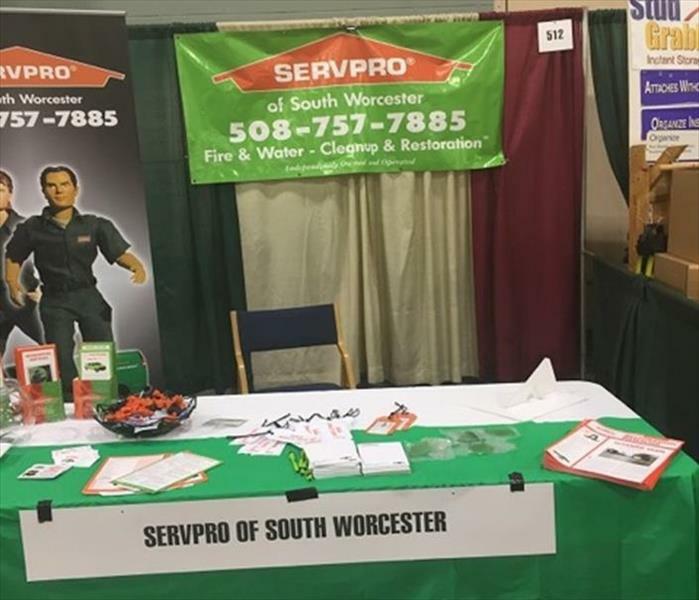 Sandy from our SERVPRO of Shrewsbury/Westborough team represented us at The Corridor Nine Area Chamber of Commerce Business Expo. She networked with local business owners and answered restoration questions. We appreciated the opportunity from the Chamber to ‘get connected’ at the regions most powerful business expo. As a member of the local business community, we’re here to help residents and businesses recover from water, fire and mold damage. 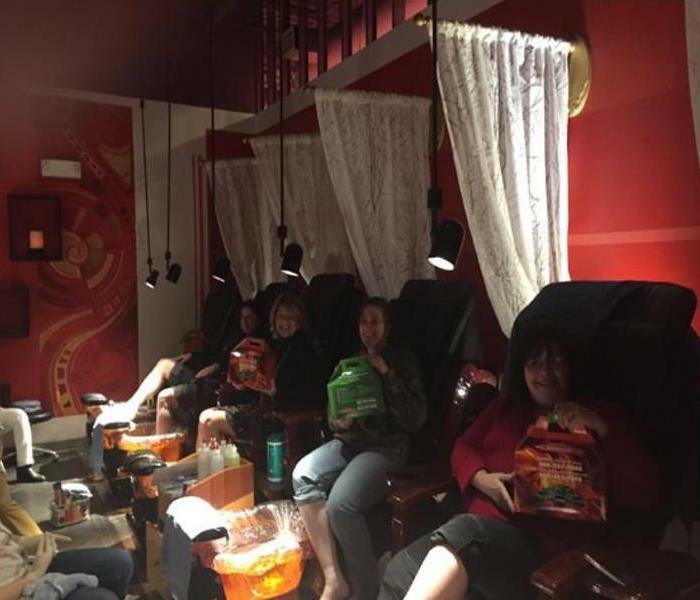 SERVPRO of Shrewsbury/Westborough recently hosted a Pedi/Spa event for our area insurance agents. The agents were treated to a luxurious spa pedicure and snack box while enjoying the festivities. The special event to show our appreciation was held at Creative Nails and Spa in Shrewsbury, MA. We appreciate our clients and the confidence they show in our highly trained crews. Thanks again for recommending SERVPRO for commercial and residential water, fire and mold restoration. 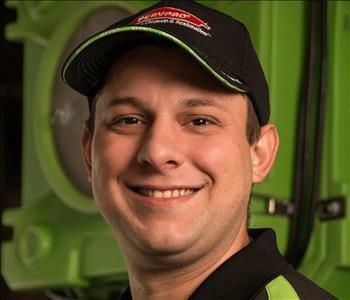 Donny continues to contribute to the SERVPRO of Shrewsbury / Westborough franchise with his extensive technical knowledge. 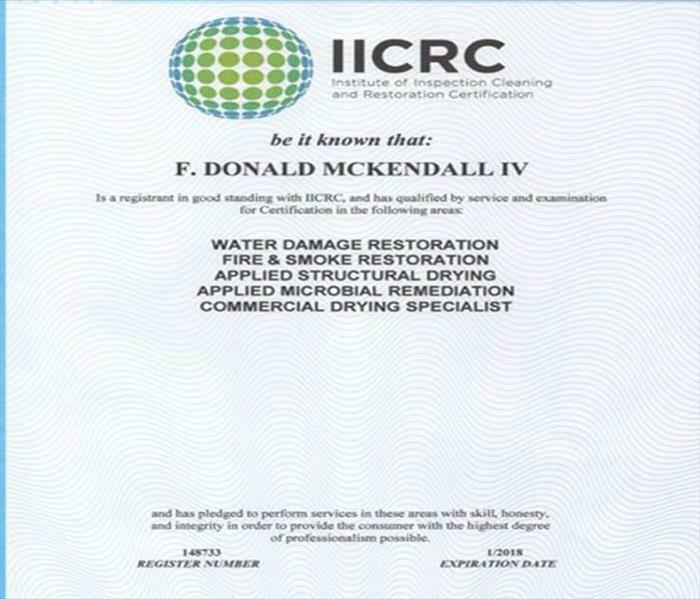 He is now an IICRC Certified Commercial Drying Specialist. This complements his skill sets in water, smoke & fire, mold remediation and applied structural drying. We are proud that our entire team embraces continuing education. Our goal is to assist our residential and commercial customers with the most professional restoration services available. 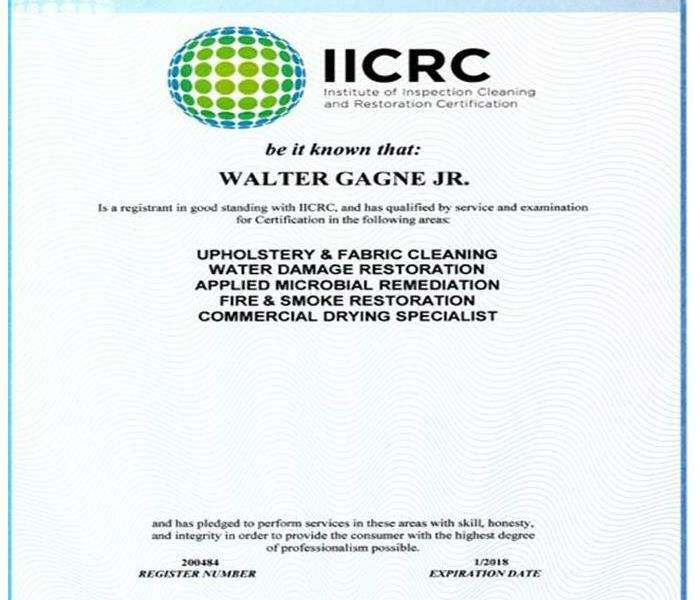 Wally, a Production Manager at SERVPRO of Shrewsbury / Westborough, is now also an IICRC Certified Commercial Drying Specialist. Upon completion of this intense course, he has broadened his knowledge and techniques. 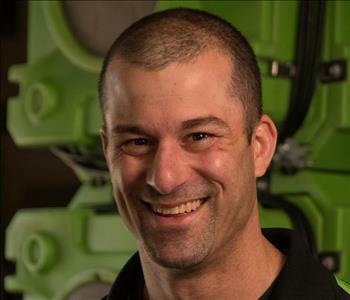 Already a proficient technician and trainer in Upholstery & Fabric Cleaning, and the cornerstones of our industry--fire & smoke, water, and microbial remediation, he leads by example to satisfy our clients, customers, and neighbors. Great work, Wally! Our SERVPRO of Shrewsbury/Westborough proudly sponsored the January 10, 2017, luncheon of The Corridor Nine Area Chamber of Commerce. 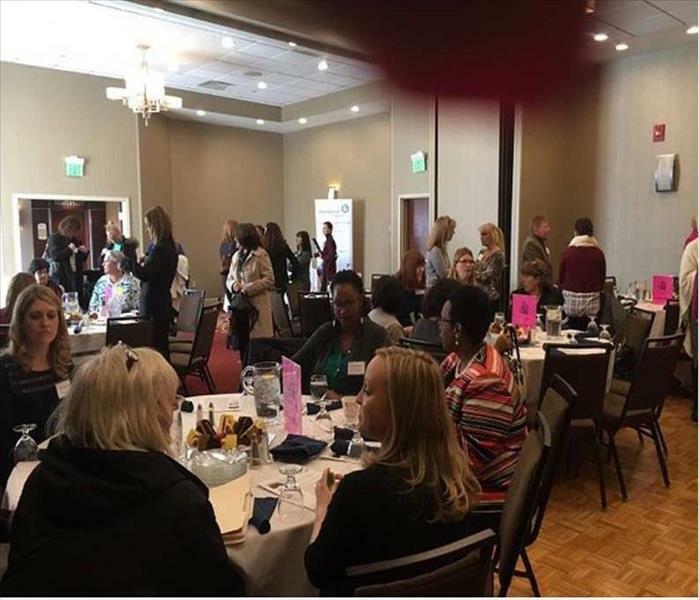 This gathering of the Business-Forward Females members focuses on building relationships to strengthen communication and cooperation leading to stronger enterprises. By working together, we improve our communities for all our neighbors through offering outstanding professional services. Our SERVPRO of Shrewsbury / Grafton franchise participated in the recent Corridor Nine Chamber of Commerce Speed Networking Breakfast. Over 100 interested business and civic leaders attended this event, once again held, at the Westboro Double Tree Hotel. We displayed our point of sales material to the other networkers in hopes of securing and referring new business to our compatriots. We even donated a cleaning kit as a door prize for this fun breakfast. By working together, we stay busy and make our communities better and safer. 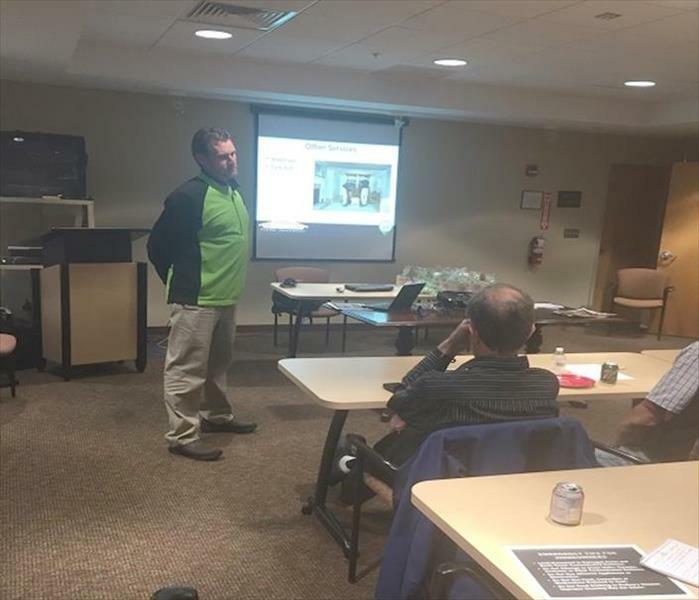 SERVPRO of Shrewsbury / Grafton hosted a dinner and informative presentation to the selfless individuals of the The American Red Cross Disaster Volunteer Services. 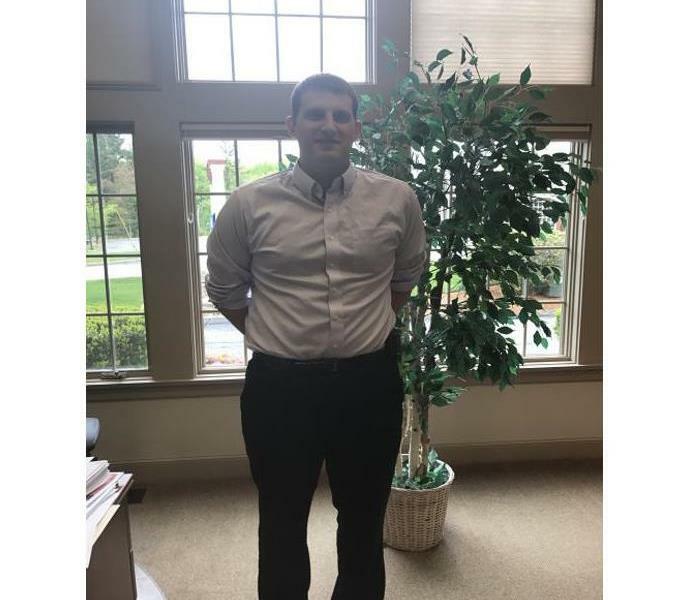 Our Sales & Marketing Rep, Andy Cooksey, is very much involved in dedicating many hours to our local charities, civic events, community leaders, and residents. This evening he disseminated valuable tips on Fire Safety and Restoration to this group. By working together, we can have a greater impact on assisting our neighbors in time of a natural disaster or an accident. Our aim is to mitigate personal and property damage and increase their persona safety. The tradespeople from the Building Construction, Home Furnishings & Home Textiles, Architecture & Design, Insurance and Real Estate Agencies showed off their wares. SERVPRO of Shrewsbury / Grafton participated and displayed its well-known show stopper which generated many inquiries to our table. We explained how we could extend the ERP, Emergency Ready Profile, a mobile app, to both residential homeowners and commercial enterprises. We are gratified to prepare everyone for the unexpected and mitigate any mold, fire & smoke, or water damages to their properties. Trust the professionals from SERVPRO for 24/7 response by calling (508) 393-7898. Local Insurance professional recently attended a Continuing Education Class on Ethics presented by SERVPRO of Shrewsbury/Grafton. The class was from 9 AM to 12 noon at the Hampton Inn & Suites in Worcester. More than 15 Insurance professionals received three credits for completing the CE class. 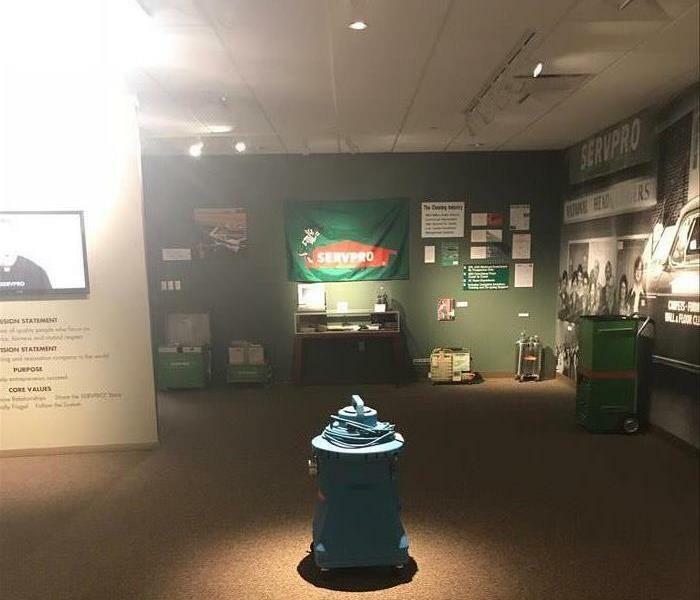 The highly trained team from SERVPRO of Shrewsbury/Grafton can help you quickly recover from commercial or residential water, fire or mold damage. For more information about upcoming Continuing Education Classes, call Sandy Fitzpatrick at 508-393-7898.